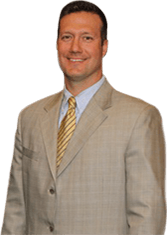 Christopher V. Russelburg graduated from Benedictine University in 1997. His love for being a trial lawyer started in college when he participated in mock trial competitions (trial advocacy). He continued to participate in Mock Trial competitions while at The John Marshall Law School where he graduated from in 2000. He was fortunate enough to learn from trial attorneys who were former or present Cook County Assistant State’s Attorneys (prosecutors). 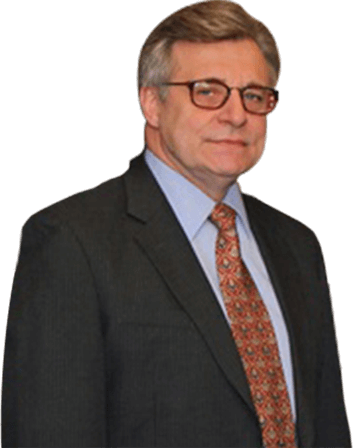 He continues to use their trial skills/training today and is extremely grateful to have received their knowledge and skills to use in the courtroom during trials or motions, in either criminal or civil cases. After graduating from The John Marshall Law School, he worked as a Cook County Assistant State’s Attorney gaining tremendous experience in the court room and trying cases. He prosecuted DUIs, among other traffic related cases in downtown Chicago before transferring to the Fifth District (Bridgeview) where he continued prosecuting DUIs and other misdemeanor offenses. While in the Fifth District, he was assigned to the Felony Review Unit where he reviewed cases the local police departments wanted charged as Felonies to either approve or reject them. After leaving the Cook County State’s Attorney’s Office, he worked in downtown Chicago practicing defense of civil litigation and worker’s compensation. 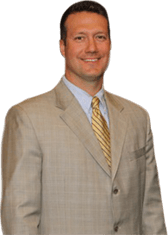 Since 2004, he has worked with his now partner, Bruce A. Self, practicing criminal defense and family law in the Kendall County, Kane County, Dekalb County, Grundy County, and LaSalle County areas. While practicing law in Kendall County, he has previously served as President (past) of the Kendall County Bar Association. He is also a member of the Kendall County Bar Association, Kane County Bar Association and the Illinois State Bar Association. He has taken cases pro bono representing casa (court appointed special advocates) in juvenile cases. He has also taken pro bono cases assigned to him from Prairie State Legal Services and has recently volunteered his time by participating in the Kendall County “Lawyer in the Lobby” program.